Social phobia, or social anxiety disorder, is among the most common (and debilitating) of the anxiety disorders, and at any given time it effects somewhere between 3 and 5% of the US population, with similar statistics found in countries around the world. Cognitive-Behavioral Therapy (CBT) has been demonstrated to be the most effective form of treatment for social phobia, but research has shown that conventional CBT principles and general interventions fall short of the mark. With this in mind, Hofmann and Otto have composed an organized treatment approach that includes specifically designed interventions to strengthen the relevant CBT strategies. 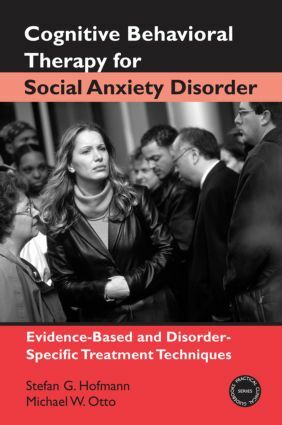 This volume builds upon empirical research to address the psychopathology and heterogeneity of social phobia, creating a series of specific interventions with numerous case examples.